The All Blacks made it 1-0 in their Bledisloe Cup series with Australia on Saturday, smashing Michael Cheika’s side 38-13 in Sydney. Steve Hansen’s men bagged six tries on the way to an absolute rout in the end. Australia managed to keep the All Blacks at bay in the first-half, but the second was a completely different story. 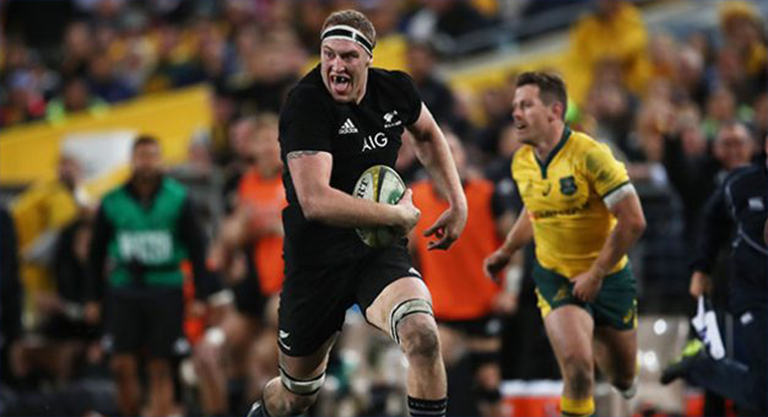 One of those tries was scored by a certain Brodie Retallick, and boy was it some effort. The talented lock defied all logic, fooling Wallaby ten Bernard Foley with an incredible dummy, before coasting in from 30 metres. The dummy was so good – Retallick even managed to fool the cameraman! Incredible stuff.